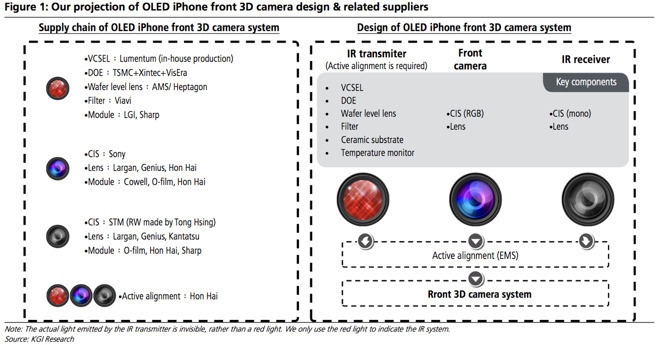 Piggybacking on an earlier report claiming that "iPhone 8" will not feature a fingerprint scanner embedded in its OLED display, another report now says that Apple intends to introduce advanced facial recognition technology that will replace the Touch ID fingerprint scanner. Citing a person familiar with Apple's future product plans, Bloomberg reported on Monday that Apple's new face recognizing technology can authenticate a user within a few hundred milliseconds. It also said that the system is capable of recognizing a person even if the iPhone is laying flat on a table, not held in front of the user's face. However, while Apple apparently intends for the technology to replace Touch ID, author Mark Gurman said "the feature is still being tested and may not appear with the new device." Apple's upcoming system is said to be more secure than Touch ID, which could enable Apple to ditch the fingerprint sensor entirely. In addition to unlocking and providing access to iPhones, iPads and new MacBook Pros, Touch ID is also used to authorize Apple Pay transactions. Monday's report acknowledged "challenges" in embedding a fingerprint sensor into the display of the so-called "iPhone 8," but did not say whether or not Apple would continue to offer Touch ID in this year's anticipated flagship model. A separate report from earlier Monday cast doubt on whether Apple will be able to embed Touch ID into the "iPhone 8" OLED display. Well-connected analyst Ming-Chi Kuo of KGI Securities issued a note to investors on Monday, saying "technical challenges" have prevented Apple from embedding a fingerprint sensor into the screen. Kuo did not suggest whether Apple would use facial recognition to replace Touch ID this year, or if Apple would simply move the fingerprint sensor to the back of the device, as some leaks have suggested may happen. And with Bloomberg's uncertainty as to whether the biometric facial recognition capabilities will be available this year, it remains unclear what, exactly, Apple has in the works for this fall. Monday's report also said that Apple is testing dedicated chips for both artificial intelligence processing and displays with higher frame rates. Apple introduced an advanced 120Hz ProMotion display with its latest iPad Pros, but it's unclear whether such capabilities will make it to the iPhone lineup as soon as this year. Whether or not it's advanced enough to replace Touch ID, this year's "iPhone 8" is expected to feature a forward facing 3D camera array that will allow for unique facial recognition capabilities that are expected to integrate with Apple's ARKit tools for augmented reality apps. Simpler versions of such capabilities are already popular through Snapchat filters. 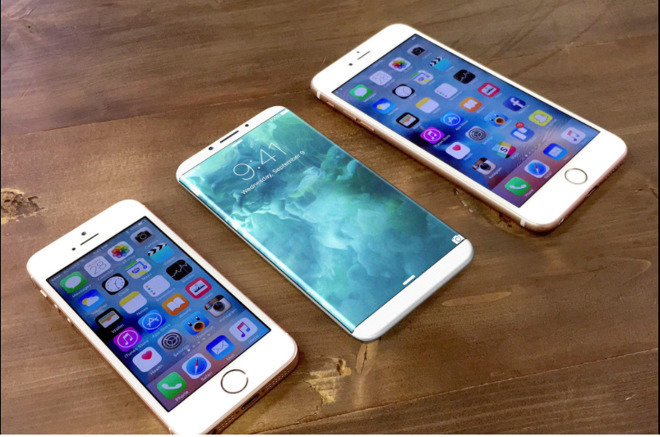 The "iPhone 8" is expected to boast a complete redesign of the handset with an 5.2-inch edge-to-edge OLED display with minimal bezels. The device is also expected to feature both fast charging via Lightning and contact-based wireless charging. The "iPhone 8" is rumored to have a premium price and debut in limited quantities this fall. It is expected to be flanked by "iPhone 7s" models sized at 4.7 and 5.5 inches, with the same design as last year's iPhone 7.